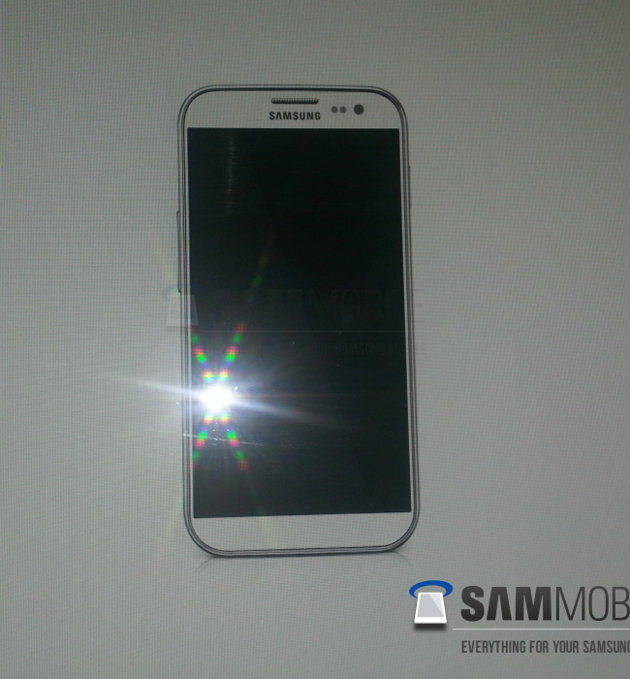 An image alleged to be of Samsung’s (005930) upcoming Galaxy S IV smartphone was published on Friday by SamMobile. If authentic, the image reveals that Samsung will finally ditch its traditional home and navigational buttons for on-screen keys. The bezel around the device is thinner, giving the upcoming Galaxy smartphone a near edge-to-edge display, similar to Motorola’s DROID RAZR M.
The Galaxy S IV is rumored to feature a 4.99-inch Super AMOLED full HD 1920 X 1080 display, and include a 2GHz quad-core Exynos processor, 2GB of RAM and a 13-megapixel rear camera. It should be noted, however, that SamMobile could not 100% confirm that the image is authentic. The most recent rumors suggest the Galaxy S IV will be released in April.